BRYAN EATON/Staff photo. 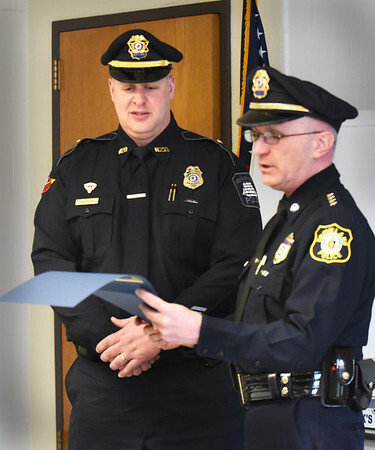 Newburyport Police Lt. Matthew Simons, left, is read a citation by Groveland Police Chief Jeffrey Gillen. Simons was off duty last month and came across an accident due to a medical condition in which he performed CPR on the victim.